It's a problem that goes beyond the cities' school zones: City data show that Cincinnati in 2018 saw the most pedestrian-involved traffic incidents in recent memory. CINCINNATI — Shortly after Western Hills University and Gilbert A. Dater high schools dismissed Friday afternoon, Mayor John Cranley visited the campus to unveil a hefty round of pedestrian safety improvements and initiatives. Families there understand the need more than most: Three students were struck by cars in December 2018. At a news conference, Cranley told reporters he would propose an estimated $900,000 in infrastructure improvements across four Cincinnati neighborhoods in addition to policy changes he said he will pursue in coming weeks. In Westwood, Cranley proposed up to $275,000 for sidewalk, crossing and traffic enhancements, including curb bump-outs at crosswalks in front of the two high schools on Ferguson Road, new flashing lights at campus-area crosswalks, and eliminating a rush hour traffic lane on nearby Harrison Avenue, between Montana and Boudinot avenues. 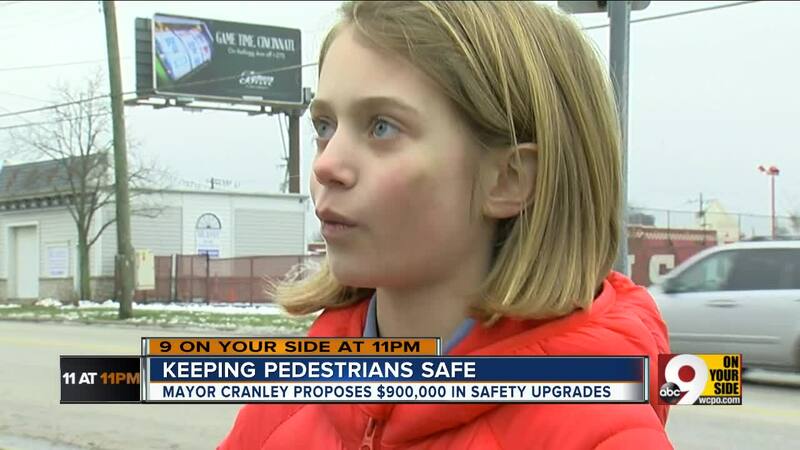 Cranley also proposed an ordinance that would allow volunteers to serve as Cincinnati Public Schools crossing guards. The district and the city in 1999 reached an agreement that latter would hire and train the district's crossing guards, and the former, in turn, would finance their employment. Another of the mayor's proposal would allow the district to hire and train crossing guards on its own and amend the city's traffic code to require drivers to stop for all CPS hired crossing guards. Drivers hit 12 CPS students as they were walking to or from school between September and December 2018. Another hit a thirteenth student in May of the previous school year. The majority of those crashes occurred in Westwood, according to the school district. One of those students, 15-year-old Gabriella Rodriguez, died of her injuries. Vice Mayor Christopher Smitherman and Councilman P.G. 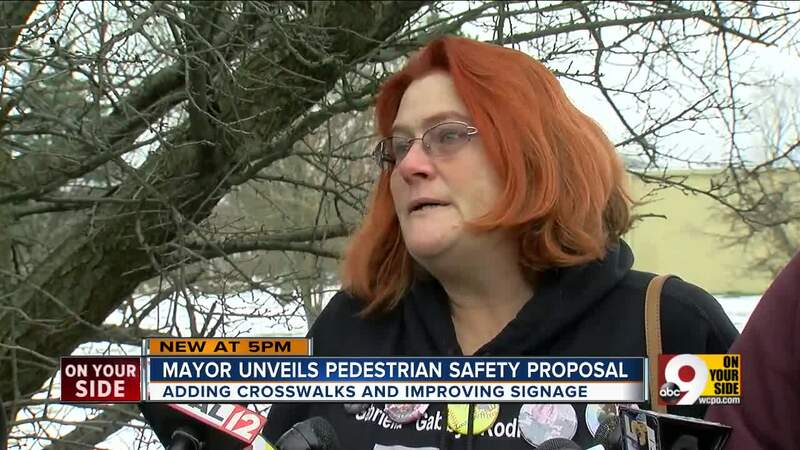 Sittenfeld both filed motions calling for increased pedestrian safety measures in the vicinity of the Westwood schools. Shortly thereafter, Councilman Greg Landsman filed a third motion calling for a multi-tiered study and report from the administration on pedestrian infrastructure and traffic enforcement initiatives. One such initiative would include adopting a "Vision Zero" mission statement to reduce traffic fatalities to zero over an undetermined number of years. Cranley also proposed a Vision Zero approach to the problem. The city would finance the improvements using a tax grant and lease payments it collects on the Cincinnati Southern Railway, which it leases to Norfolk Southern. About $400,000 of that would come in the form of a grant from the Safe Routes to School program, a funding option awarded by the Ohio Department of Transportation. Cranley said he would support the city's bid to acquire that grant money.